Why would a private company decide to build an independent board of directors when there is no legal or regulatory requirement to do so? The reasons are as varied as the companies themselves. Family-owned businesses sometimes go to a fiduciary board to help guide sticky generational successions. The board also can help steer an established family business toward business actions that can’t be reached by family consensus. When the CEO can point to the company’s board as the driver behind difficult and at times unpopular decisions, the chances of reaching buy-in are increased. For other types of private companies, a growing trend toward full accountability to external constituencies, be they investors, customers, or employees, is motivating many management teams to consider building independent boards modeled more or less on public company guidelines. In addition to providing an extra set of highly skilled eyes to help define strategy, boards can offer a sounding board for all company-wide initiatives that have an impact on the overall direction of the business. Last month one of the top governance law firms, Wachtell Lipton Rosen & Katz, shared a memo from Scott Stringer, the New York City Comptroller who manages the New York City Pension Funds. This note, directed primarily at public companies in which the fund is invested, serves up some useful guidance for all boards, public and private. Stringer sought answers to questions about director refreshment, tenure, skills and experience, the procedures used for director evaluation, director search and, tellingly, metrics on sourcing “women and people of color.” More and more, on boards of every stripe, issues of gender and racial diversity have risen to the fore as study after study shows that a diverse board is a better board. While private companies boards undoubtedly enjoy more control over—and less scrutiny of—board nominations and director slates, forward-thinking private companies are moving quickly toward governance models that would stand up to external examination for independence and diversity, boards that could transition seamlessly into the world of public company procedures. These concerns and others are woven into our first-ever Private Company Director magazine Directors to Watch for 2017. These top directors not only exemplify the very best in board service, they uniformly find that the structures and opportunities of private company board service enable them to have a real impact on the businesses they nurture and guide. For all of them, serving on a private company board offers a level of involvement and satisfaction that would be hard to replicate in the compliance-driven, activist influenced and highly regulated corridors of public company boards. Venita Fields is a partner at Pelham S2K Managers LLC, providing capital and private equity investments for privately held middle market companies. She is an experienced financial professional with more than 35 years of financial management in banks and private equity investment firms. As an investor, Fields has served on a dozen corporate boards. Fields is an investing board director for VSA Partners, Inc., a leading national brand strategy and design firm. She also is an independent board director for Derry Enterprises, Inc., a private distribution company that provides inventory management and supply chain services in North America. 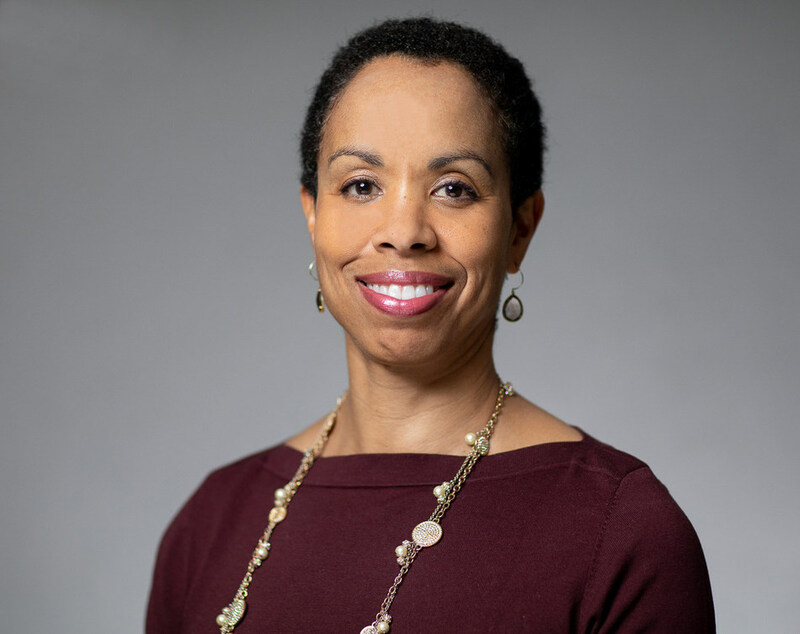 In addition, she is trustee for the Ravinia Festival in Highland Park, Ill., a board director for the Ann & Robert H. Lurie Children’s Hospital of Chicago, the board president for the Association for Corporate Growth, Chicago Chapter. She is a founding member, and on both the Chicago and international boards for the Private Directors Association. An effective board teams with management: Private companies face the same challenges as their public counterparts: business disruption and disintermediation, succession, cyber risk, technology risk, acquisition integration and talent acquisition. Private business owners and managers need independent, experienced, objective and diverse business leaders on their boards to assist them in developing clear and executable strategies to confront these challenges. An effective board works with management as a team, listening, questioning assumptions, and bringing its collective experience and expertise to the company in a meaningful and respectful way. Donna N. Smith is an accomplished finance leader with more than 30 years of corporate banking experience. For the past two years she has served as a director of First Bank of Highland Park, Ill., where she is a voting member of the enterprise risk and audit committees. Additionally, she is chair of the directors' loan committee. Prior to her current board position she was the executive vice president and head of corporate banking at Associated Banc-Corp, one of the top 50 publicly traded U.S. bank holding companies. At Associated, Smith led the Corporate Banking Group, managing relationships across the bank's Midwest geographic footprint, as well as future expansion into adjacent markets. She also served on the executive committee for Associated Banc-Corp. Prior to Associated, she held the position of global commercial banking market executive for the Midwest region of Bank of America. She was named to American Banker magazine's list of The Most Powerful Women in Banking in 2013 and 2014 and recognized as one of The 25 Women to Watch. The attributes of highly functioning boards: Private board service is challenging yet rewarding. Beyond being good stewards of capital and embracing the fiduciary responsibilities, any board member must be prepared for risks, and willing to align with and/or challenge management for the success of the organization. While working with management, it is always about the success of the organization coupled with value creation for shareholders. Good governance and value creation are intrinsic for boards, whether private or public. Addressing risk, strategic direction and measured growth are key drivers for all successful boards. High functioning boards encourage diverse thoughts and challenge management beyond current priorities, with a laser focus on the company’s longer term vision and the roadmap for its successful achievement. Thomas C. Jones is chairman of the board of Hagerty Holding Corp. 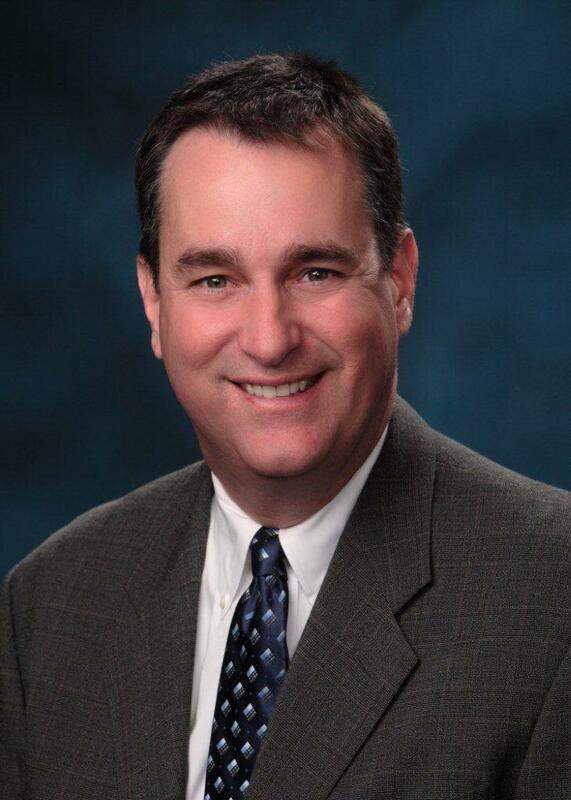 He joined Hagerty in 2005 as senior advisor and was instrumental in forming Hagerty’s independent board in 2010. Tom transitioned to chairman in 2014. Tom retired in 2002 as president of CIGNA’s Retirement and Investment Services Division. He has served as president of several other CIGNA divisions, executive vice president, COO and founding board member of NAC Reinsurance Corporation, and served as Michigan Commissioner of Insurance. Tom is a member of the President’s Advisory Group of the University of Michigan and a member of the Ross School Advisory Board. In 2008, he was inducted into the Michigan Insurance Hall of Fame. 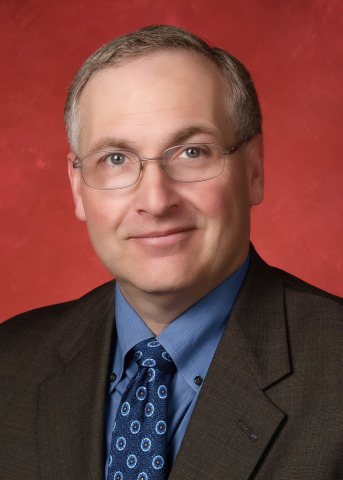 Tom has an Associate of Arts degree from Northwestern Michigan College, a BBA and MBA from the University of Michigan and he participated in the Advanced Management Program of the Harvard Business School. The two critical board responsibilities: In overseeing the governance of an organization, there are two critical, interrelating board responsibilities—cultivating a dynamic and creative business strategy and selecting, developing, and evaluating the CEO and leadership team. While management is charged with developing and executing the strategy, the board, acting together as a team, is a vital part of the process of stress testing, challenging and evolving the strategy. It is clear that boards with diverse backgrounds, experiences and points of view produce better strategies, decisions and more effective implementation. The strategy and implementation developed with the board will drive a better process for selecting and evaluating the CEO and allow management to lead strategy implementation. Tina Combs is a large institution corporate veteran and partner to innovators and visionary change agents. She worked with Craig McCaw’s early cellular company to expand its reach and bring cellular phone service to the world. She was a key member of the Wells Fargo & Company team that completed the first global roll out of online banking. More recently, she has worked with executives and management to develop online education and venture fund models in higher education. She is a director for the ReNew Petra co-venturer, ReNew Solar, a U.S. and international commercial and utility-scale renewable energy project developer. Combs is an active member of the Board and has chaired ReNew’s Finance and Credit Committee. She is also a Governor-appointed Director for the University of California, Hastings College of the Law, where she serves as chair of the Audit Sub-Committee and is a member of the Finance Committee. Combs received her undergraduate degree from the University of California, Berkeley and her law degree from the University of California, Hastings College of the Law. 360 Partnership: An effective board partners with leadership to support innovation and growth, but also considers the interests of all constituents. These include customers, investors, employees, business partners, regulators and the communities in which the company does business. Maintaining the trust and confidence of constituents is crucial. The effective board contributes to this by asking the hard questions to determine whether new initiatives and business practices align with the vision and values of the company, reflect principles of corporate responsibility and citizenship, are good for customers and have the support of regulators, and provide meaningful opportunities within and outside the company. M. Jay Heilbrunn has served as CEO and president for several privately held companies with a long-term focus on distribution businesses. He has significant board experience and the ability and experience to add value to privately owned companies. As a partner of The Distributor Board, the focus of his work is on strategic planning, and merger and acquisitions, which provide growth opportunities for his clients. Heilbrunn serves on the board of Top Notch Distributors, a family owned private company that has been distributing architectural door hardware since 1975. He is a member and founder of the Private Directors Association which works to create value through board formation, support excellent practices in board governance, and provide a network to connect individuals with private companies. Heilbrunn is a member of the board for the Midwest Business Brokers and Intermediaries, whose focus in on the education of professionals to insure the highest standards, ethics and efficiency when buying, funding and selling middle-market companies. He serves on the board of the Selfhelp Home of Chicago. Heilbrunn has an MBA from DePaul University, Chicago, Ill., and a BA from the University of Wisconsin, Madison. 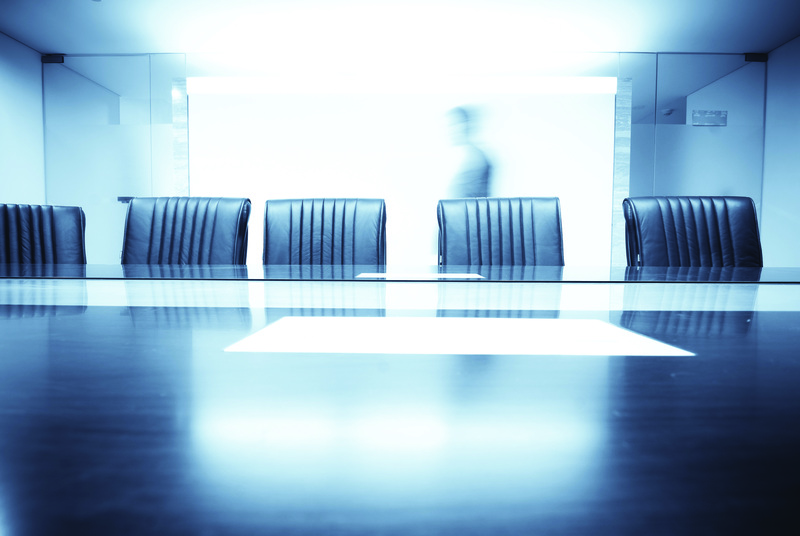 The importance of independent directors: Private companies benefit from the formation and active use of a combined ownership/family and independent board of directors, fiduciary or advisory. The importance of independent directors is their ability to bring knowledge, skills, new ideas and capabilities. The primary focus of the private company board is to add value to the company and, in turn, the owners of the business. Adding value has several dimensions, financial, family, employee and community. An effective, high-performing private company board is one that creates a proactive organization and committee structure focused on profitably growing the business and building value. Director, W.E. O’Neil Industries, Inc.
Tracey Cantarutti, Ph.D., is an experienced private company director who effectively collaborates with family and non-family board members in corporate decision-making. While demonstrating compassion on challenging family issues, she is also candid and objective when addressing questions that affect the future of the organization. Cantarutti brings over 20 years of Fortune 100 and entrepreneurial experience in leadership, talent management, global strategy and marketing to her board work. Since 2008 she has served on the board of W.E. O’Neil, a national construction company. As compensation committee chair, Tracey leads the year-end performance, strategy and compensation review processes for multiple offices. She is also a member of the audit and governance committees. Cantarutti is president of TLC Leadership Options, Inc., a talent management consultancy dedicated to improving personal and organizational performance through excellence in leadership. Prior to having her own company, she was a Motorola vice president, leading strategic growth initiatives all over the world. 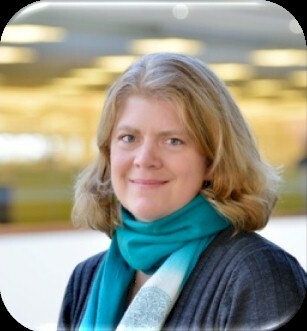 Tracey is a business management professor at Lake Forest Graduate School of Management where she teaches Leadership and Strategic Thinking. She is also a member of a large non-profit advisory board. Succession planning critical in family-owned businesses: Family businesses have challenges other companies do not have such as maintaining family harmony, ensuring the business is viable to support family and employee needs, and creating an ownership structure that addresses family priorities. In addition, the board has a critical role to play in bringing objectivity to succession planning, balancing the owners’ desire for family involvement in the company with the need to identify the best candidates to ensure the ongoing success of the enterprise. In identifying successors to the CEO or chairman, that role may occasionally involve telling a senior family member that their son/daughter or other family member may not have the right skills or experience for a given position. Cathy Carroll is founder and president of Legacy Onward, Inc., a leadership coaching firm specializing in family businesses. A third-generation member of a family business, Cathy joined her father’s business after a 20-year corporate career as an actuary at Hewitt Associates and was an executive at Sabre Inc. and United Airlines. After turning around her father’s manufacturing business, Cathy recognized the unique challenges of family business leadership and founded Legacy Onward, bringing leadership coaching services to family businesses. Cathy serves on the board of Just Born, Inc., the advisory board of ET Products, Inc., and as a board advisor to Alper Services. She is also a founding board member of the non-profit A Leg To Stand On. Cathy earned her leadership coaching certificate at Georgetown University, an MBA at the University of Chicago Booth School of Business, and a BA at Boston College. Cathy is based in Chicago, Ill. The challenge of family business leadership: In family businesses, the business mindset (profits, competition, meritocracy) is in continuous tension with the family mindset (fairness, sharing, belonging), which makes leadership in a family business uniquely challenging. That’s what draws me to family business board service. It’s a joy to serve on boards such as third-generation family-owned Just Born Quality Confections, the maker of iconic candy brands Peeps®, Mike and Ike®, Hot Tamales®, and Goldenberg’s® Peanut Chews®, which I’ve loved since childhood. As this family business thrives into the next generation, I’m impressed with the best practices approach they have taken with launching their inaugural board. Mark Contreras is a seasoned chief executive officer and board director with a career in media spanning more than 30 years in public and private companies. He currently serves on the boards of two companies—Woodward Communications in Dubuque, Iowa, and GFR Media in San Juan, Puerto Rico. He was most recently CEO of Calkins Media Incorporated, a privately-held television broadcasting, newspaper publishing and digital media company known for digital innovation and high-quality journalism. The company sold most of its assets as of July 2017. He has held media-wide leadership roles as the chairman of the Newspaper Association of American and as chairman of the American Press Institute, the media industry’s leading trade organization and training and development institute, respectively. He holds a BA in history from the University of Chicago and a MBA from the Harvard Business School. He recently assumed responsibilities as dean of the School of Communications at Quinnipiac University in Hamden, Conn.
Talking through the thorny issues: A board director has a number of duties including a fiduciary role to act in the best interests of shareholders. Beyond that, however, the board director has a duty to help the CEO talk through thorny, difficult and complex problems the organization faces and provide honest, direct and supportive advice to handle the future with a fuller set of perspectives and opinions. The end result should be that the organization is fully prepared to tackle the future confidently and wisely. Director, Sambazon, Inc., Idealab, Direct Lending, Inc.
Renée LaBran is a technology and finance savvy executive with more than 25 years of operating, finance and investing experience, focused on industries facing transition and disruption. As an executive and as a director, she has worked with management teams to develop and execute successful growth and exit strategies across industries including digital media, technology, e-commerce, personal care and organic food and beverages. Renée has spent the last 15 years as a venture capital investor, following an executive role with the Los Angeles Times, where she launched several major digital properties and led a $300 million division, and a prior career in management consulting. Her boards currently include Sambazon, Inc. (organic frozen and beverage products), Idealab (a preeminent technology incubator), and Direct Lending, Inc. (investment fund). Renée is also Governor Jerry Brown’s appointee to the board of trustees of the State Bar of California, as a public, non-attorney member and serves on audit committee. The dangers of underinvestment: Private companies often underinvest in the infrastructure required to drive and support growth, such as new product development, strategic planning, upgrading the talent pool and putting financial and organizational systems in place. This can become painfully evident when any form of industry disruption takes place, or when the founders want to sell the business. As a venture capitalist and former operating executive, I am passionate about and deeply experienced in helping companies develop growth strategies that will enable them to continue to compete effectively as well as preparing for a future exit if that is a goal. Elizabeth (Liz) Levy-Navarro is a seasoned CEO, board member, and strategic planning specialist who worked closely with Fortune 500 leaders for over 25 years to help them grow their businesses and brands. Financial services and consumer products leaders turn to Levy-Navarro for innovative, market-driven value creation strategies, from improved distribution and sales, market-changing product development, market specific growth, and brand revitalization. Levy-Navarro serves on two private company boards: Burke Distributor Holdings Company, a Midwest beverage distributorship, on its compensation committee, and Alper Services LLC, a retirement and insurance services company. She also serves on the Merit School of Music Board on its finance committee. Levy-Navarro has led two thriving businesses: CEO since 2002 with Orrington Strategies, a value creation consulting firm and, before Orrington, she ran the consumer products practice for The Cambridge Group, a division of Nielsen. Liz has an MBA in finance from The Wharton School, University of Pennsylvania, and a BBA in marketing from University of Michigan. Pursuing growth with passion and focus: While many companies productively manage their costs and resources, too many struggle to systematically pursue and achieve top line growth. Often their boards also struggle with how to ensure their strategic planning oversight effectively helps management drive value creation over the long term. Markets and economic conditions continually evolve with technological disruption affecting almost every industry. Yet, many companies focus almost solely on protecting their established business models, being unwilling to earnestly consider and pursue new sources of revenue and competitive advantage. Boards need to ensure they have proven value creation expertise on their board, just as they do today with financial expertise. 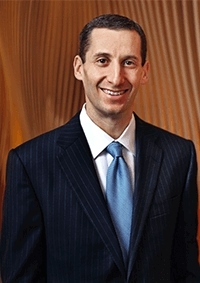 Bernie Tenenbaum is managing partner of Lodestone Global, which provides strategy consulting and board development to closely held companies worldwide. Bernie has personally been a member of or has assembled more than 60 boards. He serves on the advisory board of Diesco, one of the largest Caribbean-based family holding companies, Maxx Properties, a multi-billion dollar real estate developer, and MicroTech, a sensor manufacturer with operations in Costa Rica, New York and Florida. He was a partner with the Jordan Company, a multi-billion dollar private equity firm, where he served as president of the Children’s Leisure Products Group. Bernie was previously vice president of corporate development at Russ Berrie & Co. (NYSE), and president of the Toy Group, where he served as a member of the board from 1989-1997. Bernie is a regular contributor to Forbes magazine, writing a column on boards, strategy and performance. He is a graduate of Columbia College of Columbia University, and received an MBA in Entrepreneurial Studies from The Wharton School. Use a laser, not a butterfly net: Governance is a tool to insure performance and accountability, but it’s only one tool, albeit a powerful one. Strategy precedes governance: For a board to add value, all the members have to understand where the company is going. As Lewis Carroll famously said, “If you don’t know where you’re going, any road will take you there.” How can you select the right board members if you don’t know what you need them for? If you’re going sailing, get sailors; if you’re going hiking, get Sherpas. Use a laser, not a butterfly net! Eileen O’Neill Odum is an experienced corporate board director and audit committee chair. She is a former chief executive officer with responsibilities for over $1 billion in revenue, profit and loss, and thousands of employees. Since 2014, she has served as an independent director, member of the compensation committee, and audit committee chair for Henkels & McCoy Group, Inc., a third-generation, family-owned heavy construction company with annual revenues of over $1.25 billion. Additionally, since 2012, she has been an independent director and member of the audit and compensation committees for The Bostwick-Braun Company, one of the largest hardware distribution companies in the Midwest. Previously, Eileen served as EVP and Group CEO at NiSource, Inc. She implemented turnaround strategies that delivered significant improvements in electric generation reliability, public/customer perception, and in company culture. From 2004-2007, she was EVP and COO at Nasdaq-listed Commonwealth Telephone Enterprises. She led the strategic planning initiative that resulted in a successful sale of the Company. Prior, she was president, National Operations, for Verizon Communications. Directors’ role in company growth strategies: Strategic execution always starts with reviewing the firm’s actual performance. The board assists with an objective and clear-eyed assessment of past growth performance and management’s track record of delivering or exceeding its revenue objectives. Probing questions are the key to understanding trend changes and root causes of any disappointing performance. Acquisition growth strategies are by definition high risk. Successful acquisitions require careful selection and vetting of targets, disciplined negotiations grounded in solid financial analysis, a very specific, comprehensive integration plan and appropriate assumptions. Directors add real value through stress-testing plan details, careful review of sensitivity analysis and a realistic assessment of management’s expertise and bandwidth to execute an acquisition while not compromising its core business.